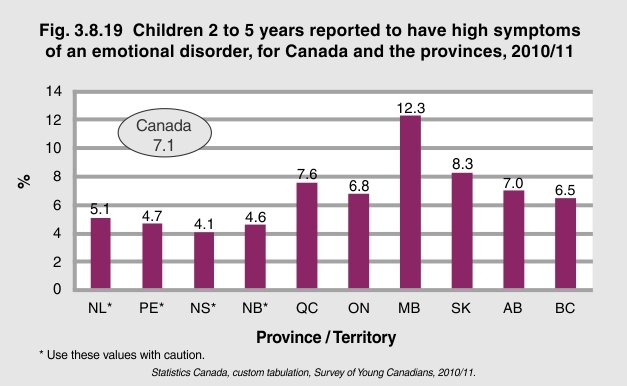 According to the 2010/11 Survey of Young Canadians, 7.1% of children 2 to 5 years were reported1 to have high symptoms of an emotional disorder. Manitoba had the highest reported rate at 12.3%. 1Reported by the person most knowledgeable, which was the mother in over 90% of cases.